Looking for the perfect retreat for your extended family … with plenty of space to enjoy your vacation — on the waterfront? Look no further! Sunrise Cove is located in Big Bay on the west side of Petenwell Lake, the 2nd largest inland lake in Wisconsin with 23,000 acres. With a full deck facing the lake, you’ll find this the perfect spot to sip your morning cup of coffee, take in the beauty of the lake as the sun begins to rise, and contemplate the marvel of nature. 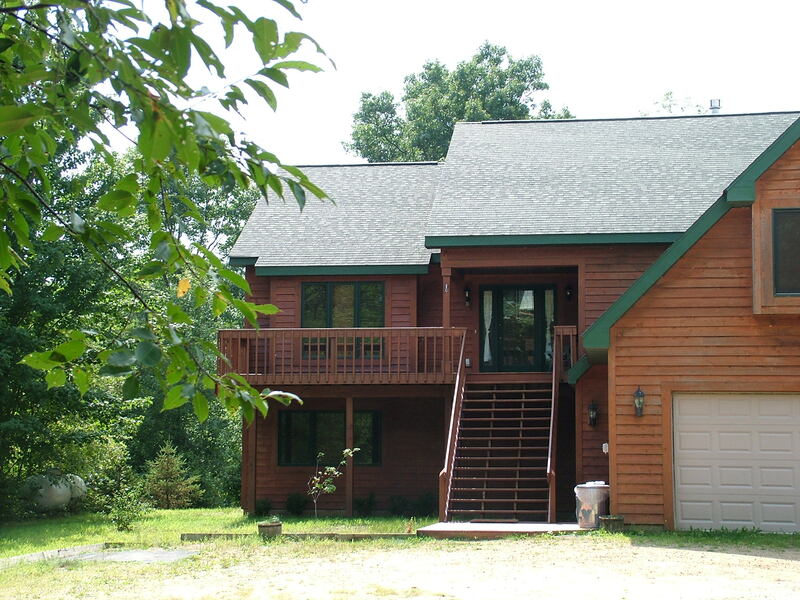 Sunrise Cove has 240′ of shoreline … with 2.5 acres of pines and woods and yard for the privacy and peace you desire. Features include a quiet sandy cove on water’s edge in front of the home and a boat launch and small beach just up the road. 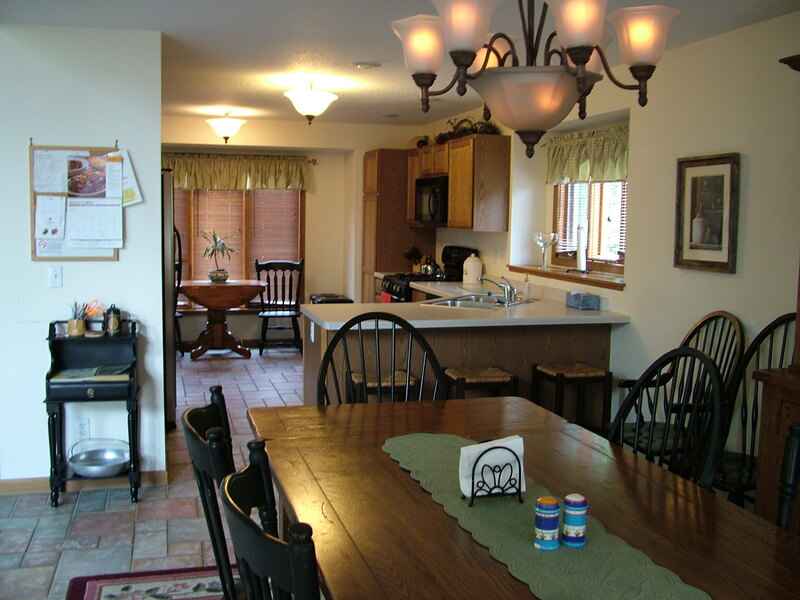 This home sits on an excellent location of the lake … near Wilderness Park. 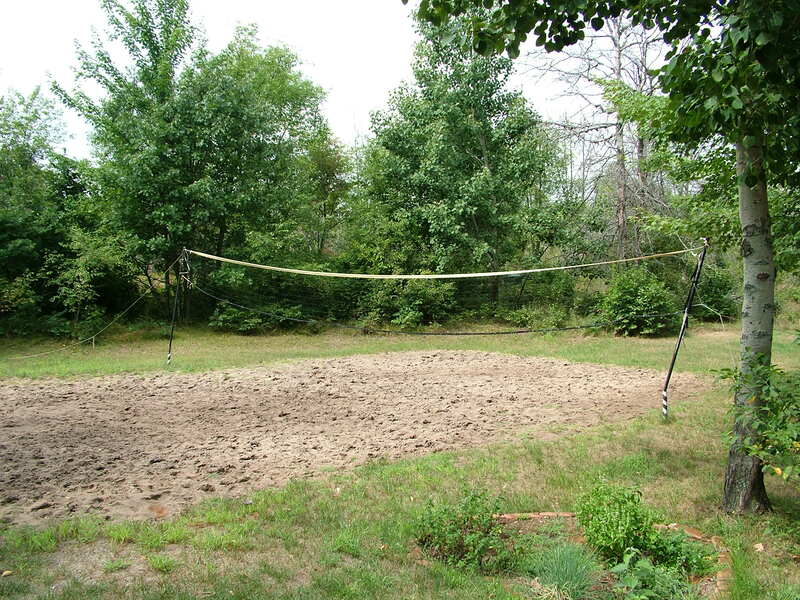 Enjoy a game of sand volleyball or horseshoes right at the home. Star gaze and gather around the warmth of the groomed campfire pit. Sunrise Cove is 3500 sq’ … this large home consists of 7 bedrooms, 3 bath, open living room/ dining room (extra large dining room table), stone fireplace/ entertainment area, kitchen with stainless steel appliances, and extra den area in lower level overlooking the lake. 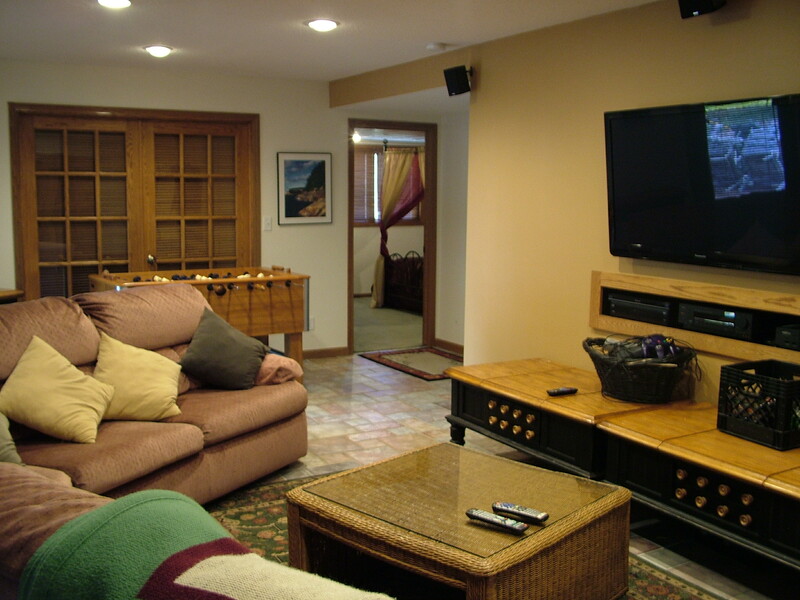 Ceramic & brick tile in the great room with carpeting in the center, and central air. 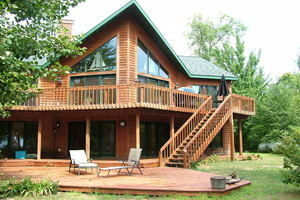 There are two oversized decks … one spanning the entire lakeside of the home, and one overlooking the front drive/woods. 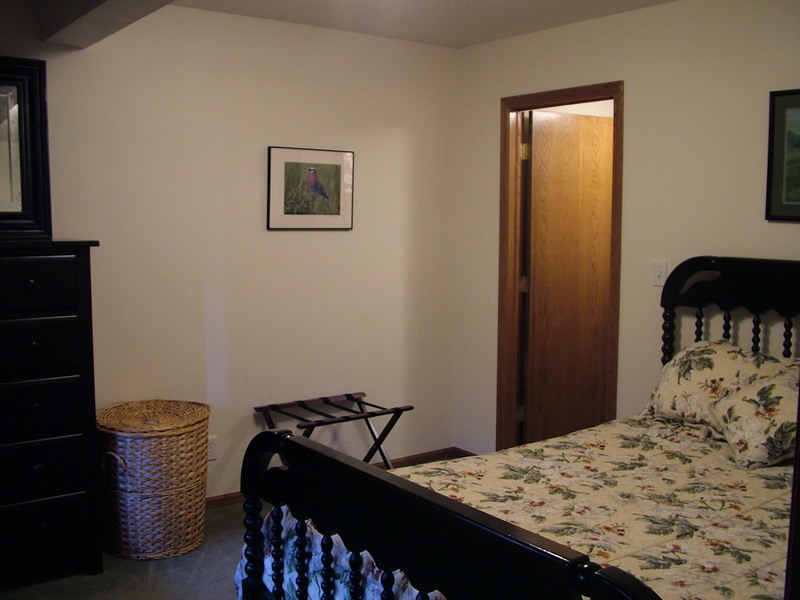 The master bedroom (facing the lake) has a master bath; another bath off the main living area; and the lower level bedrooms and living quarters share a large bath and laundry area. Truly a beautiful home … with trapezoid windows and french doors which expand the entire living room overlooking the lake! Sunrise Cove is built on the open concept with cathedral ceiling in the living room, dining room and kitchen as one large room. 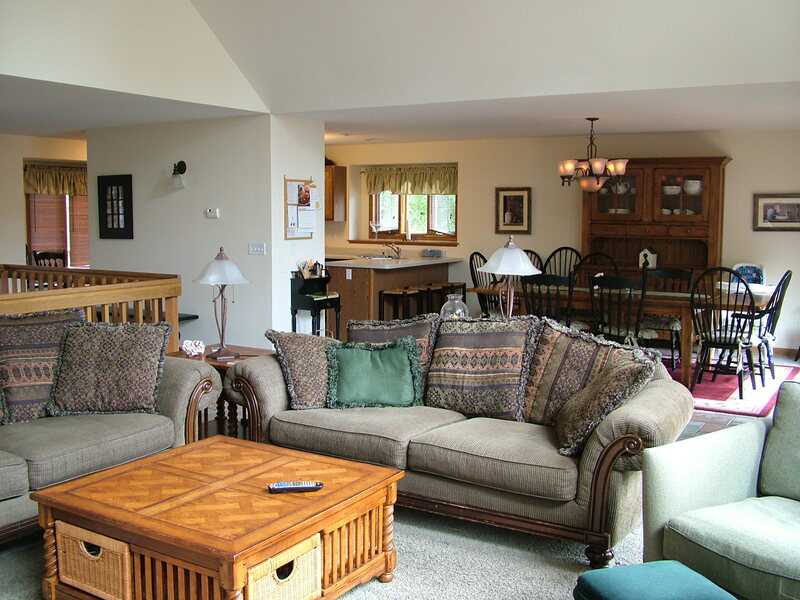 Sunrise Cove sleeps up to 16 … to accommodate larger family gatherings. Close to attractions such as the Necedah National Wildlife Refuge (largest in Wisconsin), beaches, county festivals and events, golfing, boating, trails, Ho-Chunk Casino (Nekoosa) and more. Approximately 45 minutes to the Wisconsin Dells. Relaxation or exhilarating activities … the choice is yours! Boats may be beached in the cove during the day, but must be removed during the night.